Homemade Cinnamon Rolls with tasted good and I do not like cinnamon in my bakes. I made it for my daughter so made it with minimum sugar. A cinnamon roll is also known as a cinnamon bun, cinnamon swirl and cinnamon snail. In Denmark, you may be served Kanelsnegl. The Swedes are presumed to be the original inventors of kanelbulle or cinnamon bun. Swedish kanelbulle dough typically also contains cardamom powder or buds. The German variant from Hamburg and its surroundings is the Franzbrötchen, a cinnamon pastry inspired by the non-cinnamon French croissant. The other variant that you may enjoy is Cinnamon Chocolate Babka Muffins. In a mixing bowl mix milk, sugar, melted butter, salt and egg (if using). Add 2 cups of flour and mix well until smooth. Now add the yeast mix well. Add the rest of the flour as needed and knead till the mixture is easy to handle. 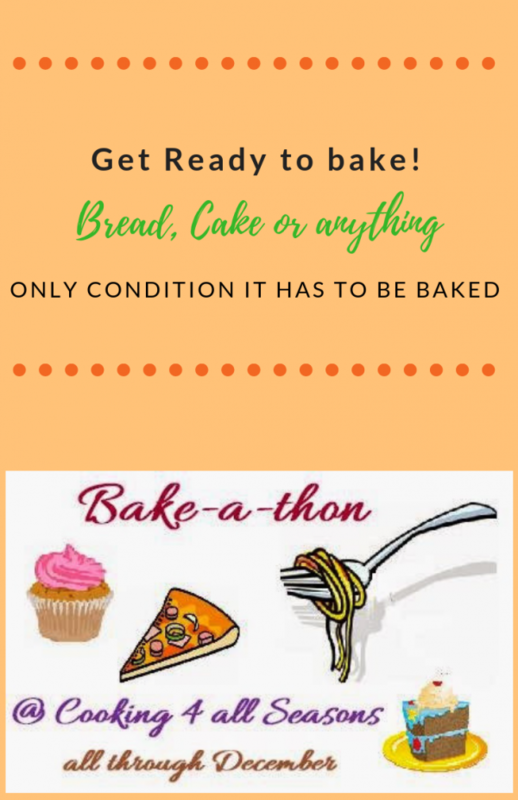 You may not need all the flour. Lightly flour the platform and knead dough for 5 to 10 minutes. Place the dough in a well-greased bowl. Cover with plastic cling film and allow to rise in a warm place until double in size. About 45 minutes to 1 hour here in Goa. Sprinkle the counter with flour and put the dough on the flour. Press gently and degas the dough. Roll out using a rolling pin and flour on a floured surface into a 15 by 9-inch rectangle. Mix the sugar and cinnamon and sprinkle over the buttered surface. Now begin rolling the dough from the bigger side of the rectangle. Pinch the edges to seal well. Cut into 12 to 15 slices. Grease the bottom of the pan with the butter. You can sprinkle more sugar but I did not. 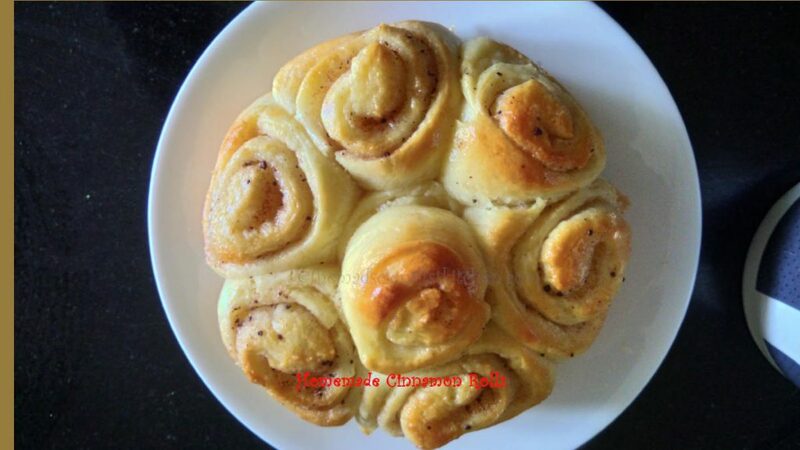 Arrange the rolls such that you can see the spirals close to one another. Let the slices rise about 30 to 45 minutes. Preheat the oven to 170ᵒC towards the end of the rise time. Brush milk or egg white over the dough. Bake in a 170ᵒC oven for 20-30 minutes or until they are browned to your satisfaction. Remove from the mould after about 10 minutes. Eat after the bread cools down. In case you are using the glaze then mix butter, powdered sugar, and vanilla. Add hot water 1 tablespoon at a time until the glaze reaches desired consistency. Spread over slightly cooled rolls. The best Homemade Cinnamon Rolls ever that is not too sweet. I want to pull a rolls and have rite now, cinnamon rolls are my all time favourite. Drooling here. I used to hate the cinnamon flavour in bakes but now I am a great fan. It is an acquired taste as we Indians associate cinnamon to savoury dishes. These cinnamon buns looks so fluffy and delicious. Hehe, it takes all kinds Rafeeda. Cinnamon rolls have been on my to-bake list for a very very long time. Yours turned out perfect – my kids will be very happy if I made these for them. I love cinnamon rolls. The house smells awesome when you bake them. While baking Cinnamon Rolls, our home will become so aromatic! Just One bite will make you feel better. Lovely cinnamon rolls , reminds me of our BM meet . I must say these have a great texture and perfectly baked . 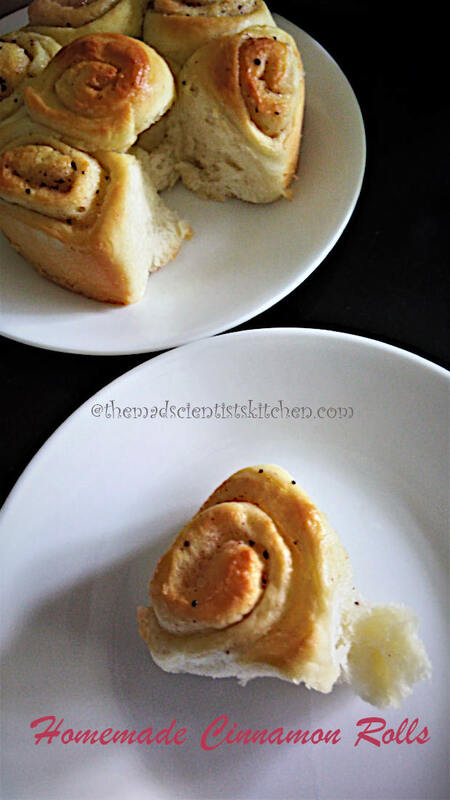 The cinnamon rolls look so well baked with a beautiful texture.A perfect combo with a cup of hot coffee!! Cinnamon rolls looks delicious and yummy. Loved it. I don’t mind cinnamon when it comes to cinnamon rolls. 🙂 Yours’ have come out perfect. Cinnamon rolls…Mmmm…my favorite. Feel like grabbing some right now. wish I could! seriously u dont like cinnamon!!! I love cinnamon, these plumpy rolls are calling my name!! 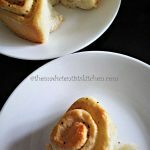 With a mug of coffee and few of these rolls, would be divinely delicious! Coffee yes I will join you but cinnamon rolls no. You are welcome to them. Thanks.